The green Magnetic Box including foam tray for the Tempestus Scions Kill Team "Drop Force Imperator"
From childhood, Tempestus Scions are raised to absolute obedience to the Imperium. With the best and most merciless training human soldiers can receive, they grow up to be the absolute elite of the Astra Militarum. Since they usually operate in small teams on their missions, they form excellent Kill Teams. But even disciplined and peerlessly enduring soldiers like these need a safe retreat outside the Kill Zone. 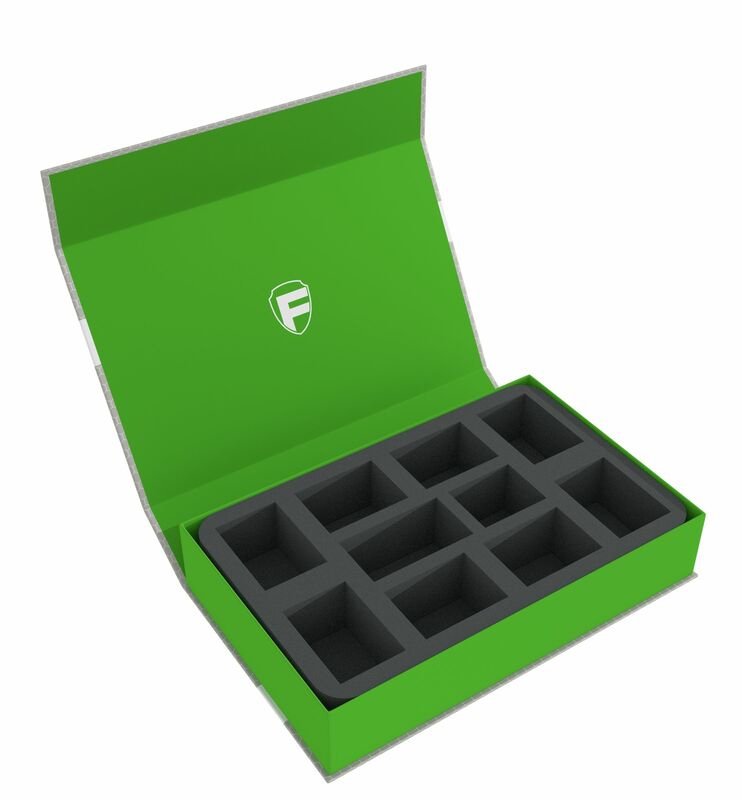 We took care of this and have created this functional Magnetic Box including one suitable foam tray for you and your Zetic Tigers. 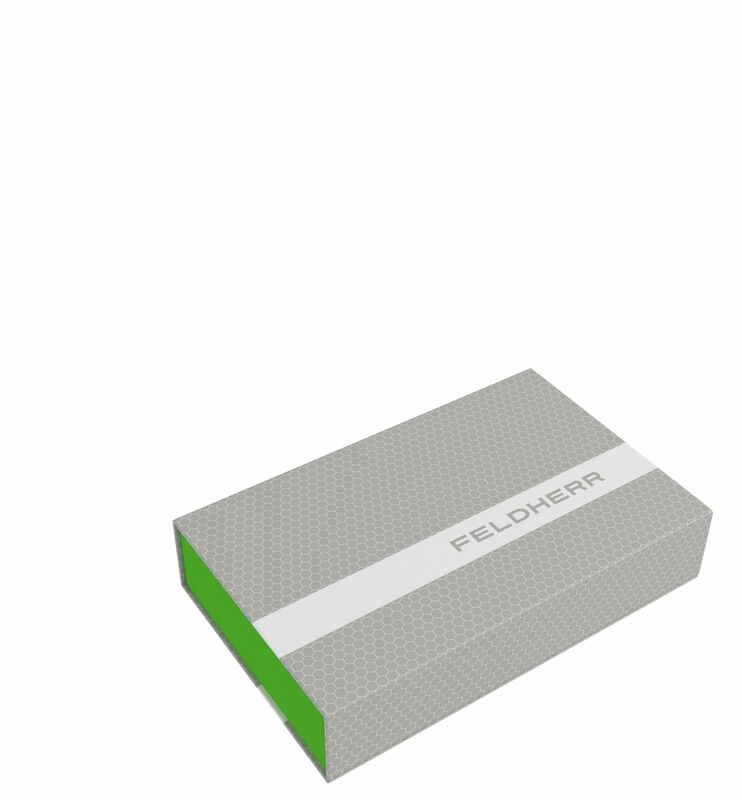 The mat is divided into 10 compartments, in which the figures can be kept safe. Surrounded by foam, the troops around Tempestor Ekhter are optimally protected. Plasma gun, grenade launcher and chainsword are safe from damage and therefore always ready for battle. The precisely fitting compartments also ensure that the figures do not slip around or collide. This preserves the colors of painted Tempestus Scions models. 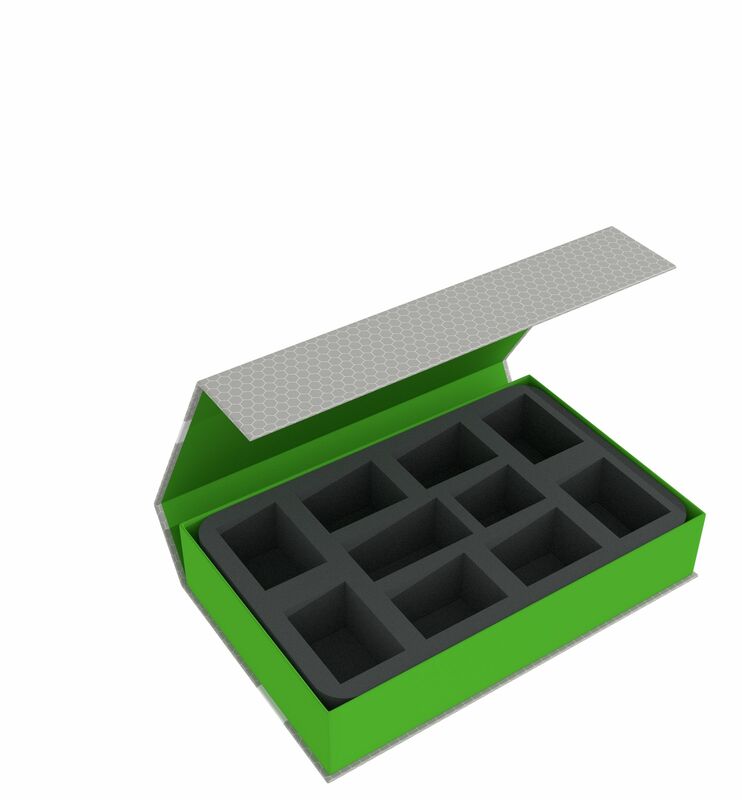 In addition to the 5 compartments for the soldiers, there are 5 additional compartments available. This gives you enough space either for game material or to enlarge your team with more miniatures of the Astra Militarum. 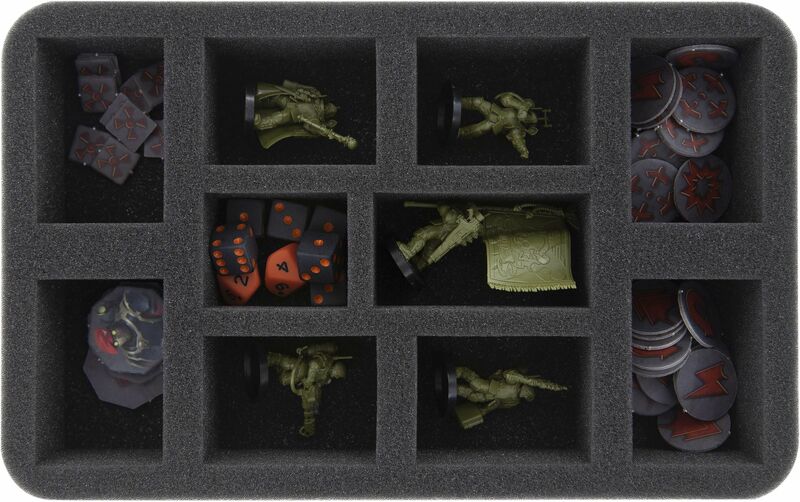 A 5 mm thick foam topper ensures that your Kill Team is securely and entirely packed so that the miniatures do not bump against the lid during transport.